Our Story — 9th Slice Pizza Co.
Our mission is simple: To serve fresh, fast and delicious pizza in a family-friendly environment, while giving back to the community that has given us so much. 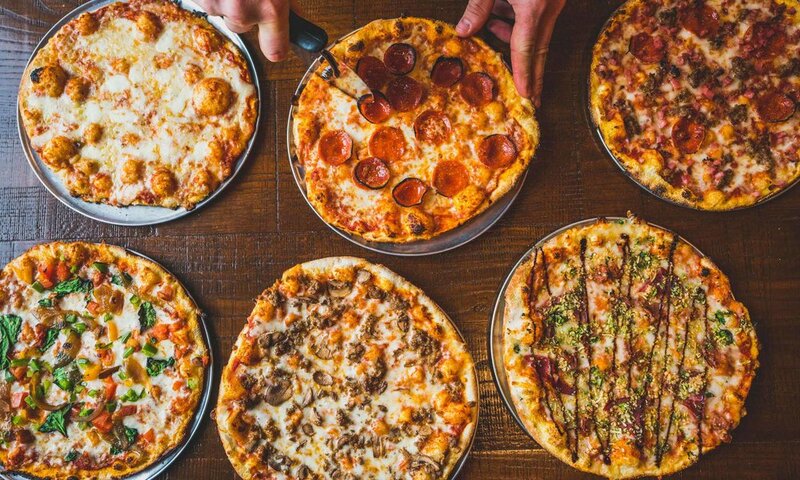 9th Slice Pizza Co. is a fast-casual restaurant in Hales Corners serving-up artisan pizzas, hot from our Italian-imported stone oven for lunch and dinner, seven-days a week. 9th Slice is proud to be part of the Hales Corners Community. Our mission is to not only serve incredible pizza, but to give back to the community that has given us so much. It’s our commitment to the greater Hales Corner’s community and giving back to the area we all live in. 9th Slice Pizza Co. owners’ Gary and Andy are personally committed to local community-based organizations. 9th Slice Pizza Co. is a dream that has been long in the making for Milwaukee-natives Gary Plassmeyer and Andrew Baer. With extensive backgrounds in food and beverage management, the two joined forces to bring to life a fast-casual, made-from-scratch pizza place that offers a great family atmosphere and gives back to local causes.